This fall, the Summit Church will be studying the book of Colossians together as a part of our “Christ is First” series. Here’s a few recommended resources from The Summit Institute staff that can aid our study of Colossians together. 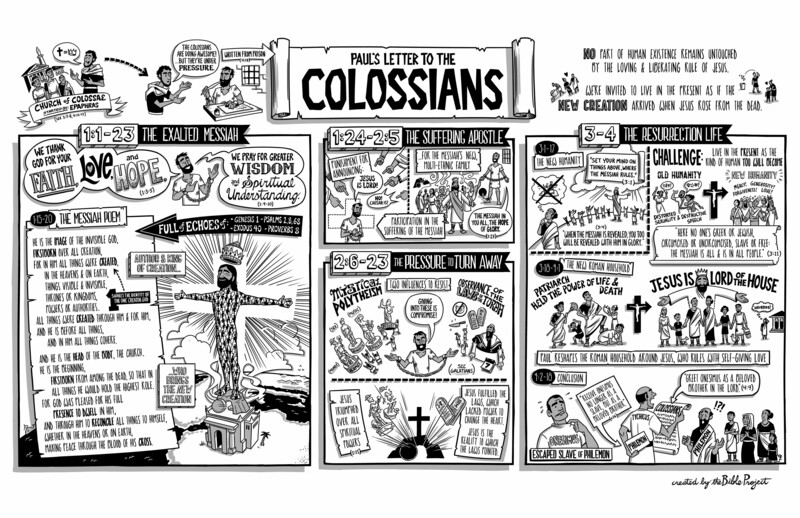 The Bible Project Video: This video breaks down the literary design of the book of Colossians and its flow of thought. Watch how Paul uses his letter to encourage Christians to see Jesus as the center of all reality. The Bible Project Poster: This poster is a visual summary of the Bible Project video found above. ESV Study Bible Introduction: This brief introduction provides basic background information for the book of Colossians, and a proposed outline. How to Teach Colossians (Greg Beale Interview): In this interview, G.K. Beale answers questions on the book of Colossians. He is particularly helpful for those who are trying to teach the book of Colossians faithfully. St. Helen’s Study Guide: St. Helen’s is well known for their “Read, Mark, and Learn” studies of New Testament books. Here is a simple guide small group guide that walks through the text of Colossians. Filled, a study by Michal Rudolph and Allyson Hartley: This a study written by two of our favorite Bible teachers at The Summit Church. This 5-week study not only faithfully teaches the content of Colossians, but it also teaches you how to read the Bible as you walk through Colossians. The Hope of Glory: 100 Meditations on Colossians by Sam Storms. This devotional contains 100 daily meditations on the book of Colossians. Each of these can be read in five to ten minutes so that even the busiest believer can take time to read and digest them. The number of resources on Colossians available can be quite overwhelming. To help you navigate through them, we have provided a list of helpful commentaries that deal with the text faithfully.